I am Peruvian-German, Nigerian-bred, based in Scotland. I hold a Master of Arts in Anthropology from the University of Aberdeen and am currently completing a Master in Science in Medical Anthropology at the University of Edinburgh. I am the founder and director the circus studio Inverted: Circus and Pole Fitness in Aberdeen, so if you’re ever in the area you should totally check out the classes! I’ve been writing all my life. It’s the one passion that balances me completely. I began writing this blog in December 2010 as a way to communicate my writing to the world, and I’m delightedly blessed that a beautiful community of readers has been steadily growing. Thank you! In 2009, I began self-publishing. 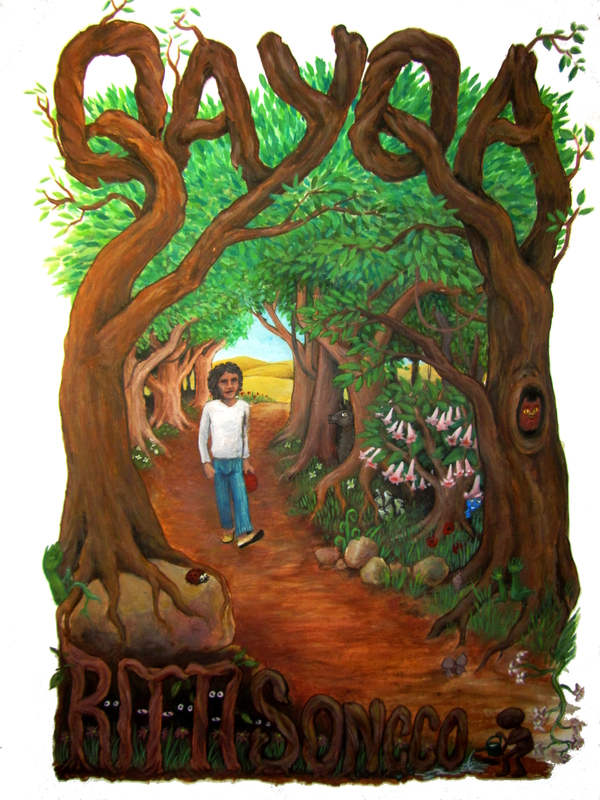 My first novel Qayqa is now completed and I am currently planning its German book tour. All information is published on this here blog. For more information about my books, please visit My Books. I adore works with magic realism and the powerful use of metaphors. My writing concerns the themes spiritual growth, nature, circus arts, homosexuality, Latin American cultures, and mystism. Currently, I’m experimenting with weaving Quechua, the language of the Incas, into my narrative. I have worked on several film collaborations with puppeteer & artist Mark Klawikowski, creating “puppet-documentaries”. Please poke around our website and explore all our strange but sweet films. Mark and I offer film workshops based on our puppet-documentaries, at schools and as extra-curricular activities for children throughout Europe. I love performing, giving workshops, reading, backpacking, and learning new languages. I wish you a lot of fun poking around my blog! Feel free to get in touch, subscribe, or like what you see! Dear Felipe, you’re crazy. 🙂 And you’re speaking in some sort of code. Did you, per chance, mean “movie”? Are you back in Peru? I am Tim a friend of Heather Gatley. Hello Tim and yes, I am actually! Are you still in Lima or whereabouts are you? Still here in sunny Lima! 3450572 is our number, we’re on holiday so call if you fancy visiting. Check out my twitter – christine boxers says hi!! !